Whether you’re a fitness fanatic or an occasional exerciser, smart technology can have a positive impact on how you reach your goals. 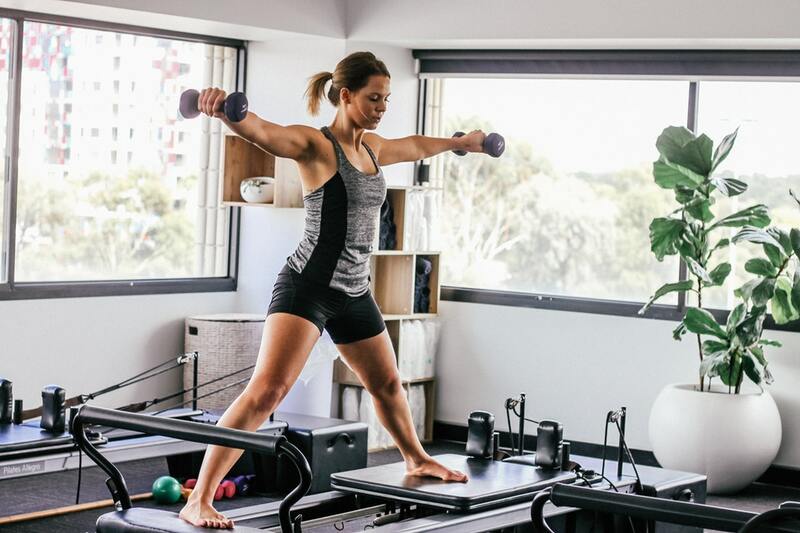 In this blog post we’ll look at the latest connected devices that can help you work out smarter and lead a healthier lifestyle. Sleep is often neglected when people look at achieving health goals, yet there are a range of benefits to be gained by reaching the magic number of 8 hours sleep. In short, sleep allows your body and brain to recover, which can boost your mood, regulate your body and improve everyday life. Sleep and metabolism are controlled from the same parts of the brain so if you are sleep-deprived, you are likely to feel hungrier and more likely to cave into those chocolate cravings. The Philips SleepSmart Headband is clinically proven to improve the quality of your sleep. The wearable sleep-enhancing headband works in connection with the SleepMapper App, monitoring your level of sleep and detecting when you are in a deep sleep. Once a “slow wave sleep” is detected, quiet audio tones are released which help boost the waves and ultimately helping improve the quality of sleep, leaving you feeling rested and refreshed. As many of you know, diet is key to achieving your fitness goals, with many trainers touting the ratio of diet and exercise is 70/30 (abs really are made in the kitchen!). Although the exact figure can be disputed by some fitness experts, it still highlights the importance of a good diet. A great method used by ‘dieters’ is having smoothies to complement their nutrients intake. Yet many smoothies have high sugar levels because of the high levels of fructose in fruits. The Nutribullet Balance Smart Blender connects via Bluetooth to an app on your smartphone. You can update your grocery list and track all nutritional information for all of your favourite smoothies. This connectivity helps ensure you are increasing your much-needed vitamins and minerals without adding too many sugars to your diet. Many people do not like to be tied into a gym subscription or have to travel far to get their fitness fix. For those who don’t have a large space for a home gym but relish the idea of a home workout, why not try smart dumbbells? Bowflex Selecttech dumbbells use interchangeable weight settings in one compact unit, making it an ideal space saving solution. Integrated with Bluetooth smart technology, it syncs and records sets, reps and weights. Alongside the monitoring of your workout plans, the app provides over 70 exercises, 6-week challenges, and a handy journal to track your improvements. It’s never been easier to get into shape in your home. The traditional ‘weigh’ to monitor your fitness journey has always been to measure your weight. Many of us get frustrated when we see the scales stop decreasing after weeks of intense exercise and dieting. Scales are not a positive method of monitoring your fitness journey, until now. Withings and Nokia have teamed up to offer Body+, a Wi-Fi enabled digital scale with smartphone app. It provides full body composition, including: weight, body fat percentage, muscle and bone mass. Fat percentage is a great method of monitoring weight loss goals rather than overall weight. You can easily track your progress through the smartphone app, which is automatically updated when you step on the scales. Workout smarter, not harder with this smart tech and reach your goals this year! For more top tips and tricks and the latest smart tech news, follow our Twitter and Facebook channels. Smart Home Week is owned and operated by Edson Evers PR Limited.